The enemies you encounter have different strengths and weaknesses, while there are some pretty much immune to all “statuses” (meaning they're not easily affected by water, fire, rocks, life beams, ice, and lightning). 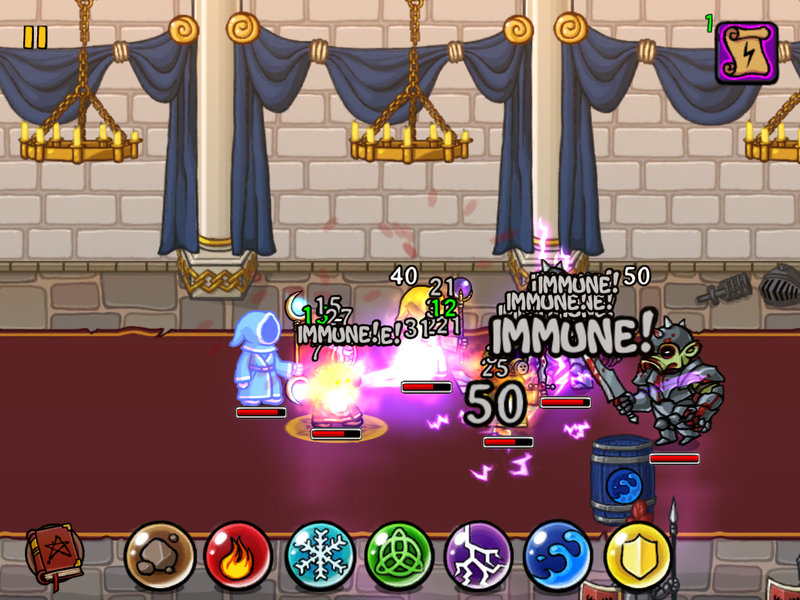 You can cast a basic shield around yourself or combine different spells to bolster your shield or use as your weapon. Unlike the PC game, in Magicka for iPad you are limited to four (4) combinations. The funny part in this game is that you are not immune (and neither are your fellow players in co-op mode) from accidentally casting spells upon yourself, getting hurt and killing your teammates. Even your enemies, if you are smart enough, can be manipulated to accidentally take out their fellow monsters. What's interesting here is that you have unlimited mana to use your magic and let you unleash your creativity. There are no cooldowns, too, so you can cast your spells freely. 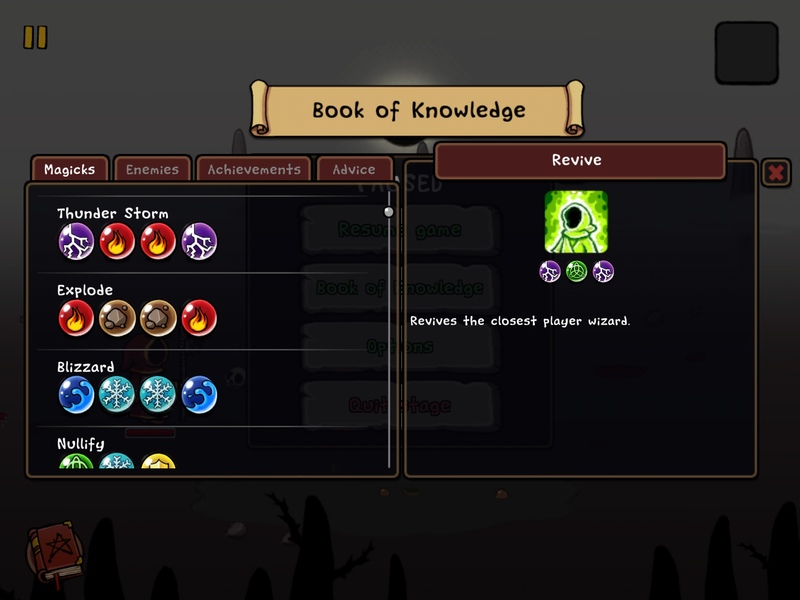 The money you earn from beating a level can then be used to buy robes, staffs, familiars and scrolls, which basically form the RPG component of this game. There's in-app purchase (IAP) for gold currency if you want to have enough coins to buy the stuff that you need right away. Fortunately, IAP is not needed at all to buy items – you can earn your way to upgrading your stash through sheer hard work and persistence. 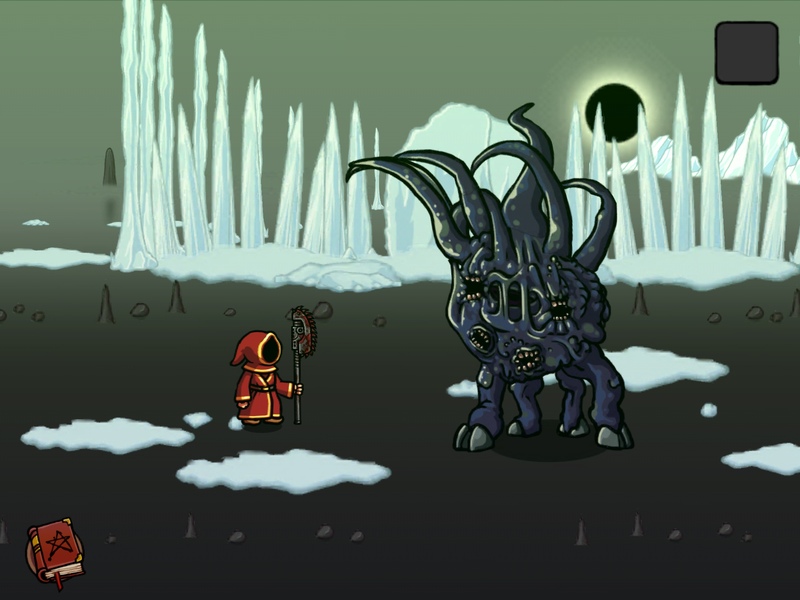 The Magicka for iPad version is said to be significantly different from the PC version (released on Steam in 2011) in terms of looks. While the original game features 3D graphics, the art direction for Magicka for iPad is cartoony (though appropriately gory), similar to one of my all-time favorite games, Battleheart. Unlike Battleheart, however, the art and animation are not as well done. Thus, if you're not familiar with the original Magicka game like I am, then you would get the impression that Magicka is a watered down version of Battleheart. In terms of gameplay, the developers retained the core mechanics of the original Magicka for PC but took out the exploration part (this I saw in the videos). Spell casting is pretty fun and exciting, and requires quick thinking as well as quick reflexes. After a while though, the game feels pretty repetitive. However, because of the multiplayer mode (online or with friends) replay value is enhanced greatly. Ah, the online multiplayer mode. It runs very, very smoothly. This is the really fun part! You can join quick play mode and just jump in whichever game needs an extra player, or create/find games. So far, except for an isolated crashing incident, I've not had any problems with multiplayer mode. It's also a cool way to earn more money and rewards, and to check out what other players use. 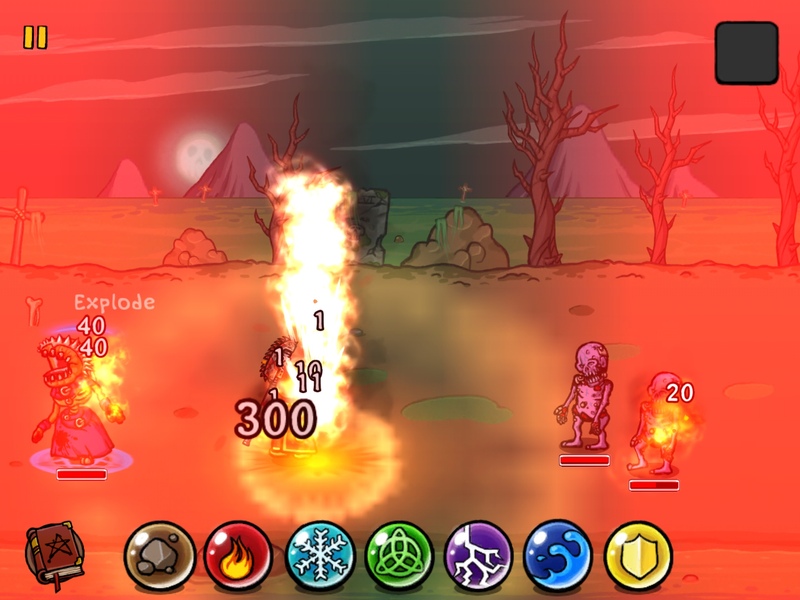 The fun and funny part is you can accidentally kill or injure each other during the frenzy of spell-casting. About humor, the bits of humor in the cut scenes (usually dialogues with Vlad or the various enemies scattered throughout the regions) feel a bit half-baked and not as funny or witty as I would have liked them to be. In any case, these are but minor quibbles. As for the RPG part, I don't feel the benefits of certain upgrades – rather it's the drawback of said upgrade that is more apparent. For example, a robe I got is supposed to deal more damage to enemies but is immune to healing as a result. The latter I've experienced to be quite a pain unfortunately without enjoying the former. Also, there aren't that many to choose from, and some appear to be specific for certain areas or enemy types only. While the tutorial is pretty helpful and quite in-depth, I think it is deficient in terms of explaining certain spells or upgraded equipment. I also don't understand the purpose of offering unlocked spells as rewards when these can be discovered, as in my case, through sheer trial and error and used even without the spell being officially unlocked yet. All in all, however, Magicka for iPad is a solid game that's well worth your money. While I am not in love with it, Magicka for iPad is a refreshing and fun game that is all about letting loose your inner wizard. fun on our finger by Ducky Duck Hunt Smooth navigation, easy to use ,Incredible modern graphics.